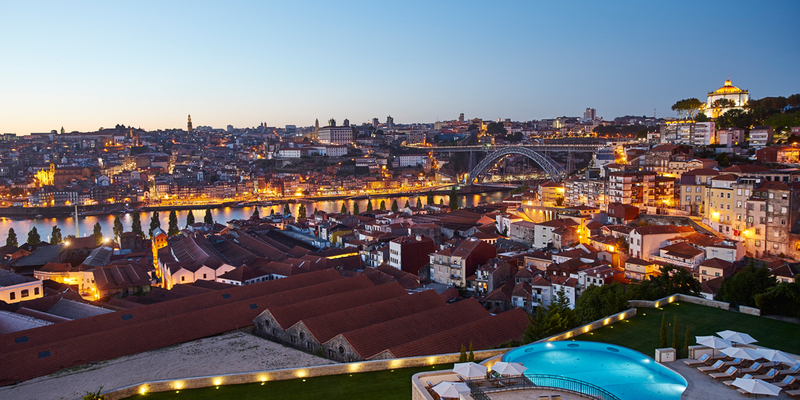 Enjoy a Winter break in historic Porto at The Yeatman with our 2 night Winter Programme. Stay in one of our sumptuous Superior or Superior Deluxe rooms or Suites, enjoying magnificent views over the city and the river Douro. Explore the nearby Port Wine cellars, absorb the vibrant and colourful atmosphere of the centre of Porto, or simply take some time out to relax at our Caudalie Vinothérapie® Spa. Programme is not valid on the 14th, 15th and 16th February 2019.
Credit card guarantee is compulsory. The above rates are inclusive of VAT and the Programme is subject to limited room & rate availability and modifications without prior notice. A city tax of 1€ (between October and March) or 2€ (between April and September) will be charged per person per night at check-out. *20% price reduction not applicable on the following Spa treatments: "Cures” and "Rituals”. Kids Club (unsupervised) and Babysitting service available, subject to availability and advanced booking.